«The very air of Italy is embued with the spirit of ancient mythology» (Anna Brownell Jameson, 1826). The gods of the classical world still dwell under the shadows of the Italian woods and beneath the rocky slopes of solitary peaks. Weird legends, as creepy as a gothic tale, still live on in remote areas of the country. When I first discovered the story about the Sibyl - a pagan divinity and priestess - I got the shivers, and decided at once to write a novel on the subject. Fiction is only a part of it. This story has really occurred. A mountain called "Mount Sibyl" actually exists in Central Italy. On top, the wrecks of a cave indicate the very place to where people used to come for centuries to worship the divine Sibyl, in search of her subterranean palace, full of wonderful treasures, and in longing for her unholy love. Yet the Sibyl was an evil being. Price for her love was eternal damnation, and many visitors never found their way out of the magical cave, as recorded in old books dating to the fifteenth century. Her call would resound through the centuries to attract travellers to her concealed palace and thus satisfy her hunger for souls. The belief in this legend was so strong that since five centuries ago the place has achieved remarkable renown in France, Germany and other European countries; in 1930s, the Fascists themselves made attempts at breaking into the cave by using explosives, in search of the eerie Queen. This was an awe-inspiring story that needed to be told. By adding a little bit of fiction, the legend of the Sibyl became a book, narrating the quest for the divine dweller of the cave carried out by the novel's main character. A "gothic" investigation through old books and fragments of truth retrieved on the Mount Sibyl, which will take the hue of a sinister journey into a mystery dating back to the Roman age. And, in a final encounter with the legendary Queen, the Sibyl will prove as dreadful as a terrifying dream. 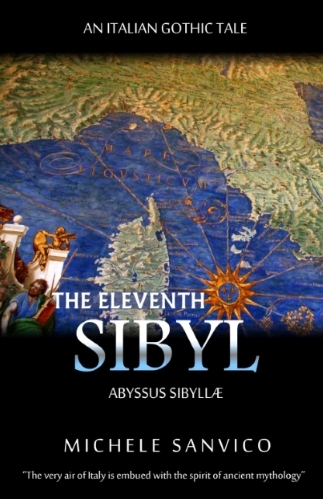 "The Eleventh Sibyl" was written in Italian and distributed in Italy. Yet it is a fascinating novel that is set for distribution in the worldwide market, as it takes the reader into the mystery and picturesque of an ancient Italian legend which dates back to the Roman world. Complete, high-quality translation of the novel into English was achieved by the author himself, with a view of ensuring accurate rendering of the literary fiction quality of the Italian text. 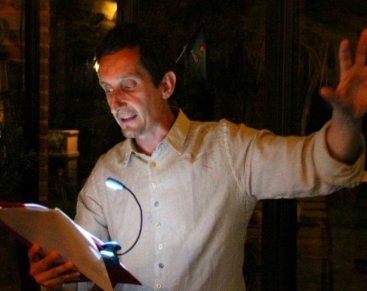 Next, the translated material was submitted to a native English professional translator who carried out the novel's final editing making it ready for publication. As a result of the translation process, "The Eleventh Sibyl" is now a fine and enjoyable piece of literary fiction, made available to English readers as well. Its "picturesque" character may be enjoyed by foreign readers who love Italian art and heritage and Italy's picturesque settings and sights.